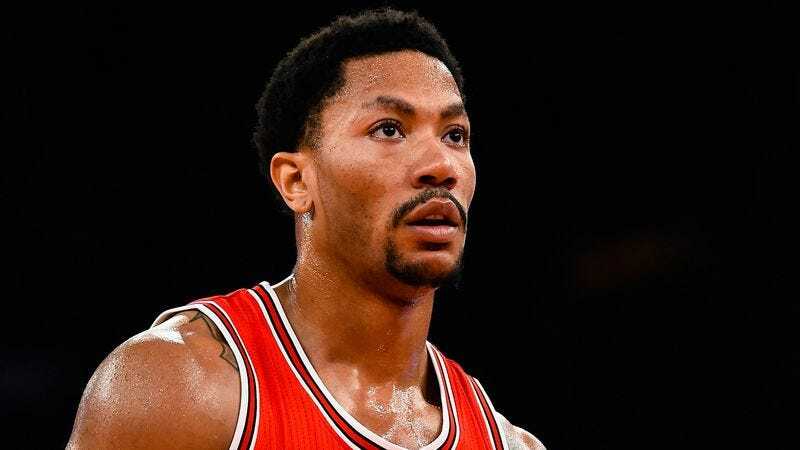 CHICAGO—Saying that the 26-year-old’s body has necessitated cutting-edge medical treatment never before thought possible, leading doctors confirmed Thursday that Derrick Rose’s persistent injuries have led to groundbreaking advancements in the field of orthopedic surgery. “We essentially had to throw out all generally practiced methods for repairing muscle damage and experiment with totally revolutionary arthroscopic techniques, all just to ensure that Derrick’s legs are able to move and function normally,” said team surgeon Dr. Brian Cole, adding that Rose’s assortment of knee and ankle injuries throughout his NBA career have pushed surgeons to search for innovative new techniques to heal repeated muscle strains, cartilage damage, bone fractures, and ruptured ligaments. “Honestly, the fact that he can even walk is a testament to all the medical advancements we’ve made over the past six years since he started playing for the Bulls. There’s no telling how many millions of people these breakthroughs could eventually help, and we have Derrick to thank for that. It’s incredibly exciting.” Cole added that Rose’s career has also helped to greatly advance the discipline of sports psychology, forcing psychiatrists to develop brand-new psychotherapeutic approaches for counseling injury-blighted professional athletes who will never reach their full potential.